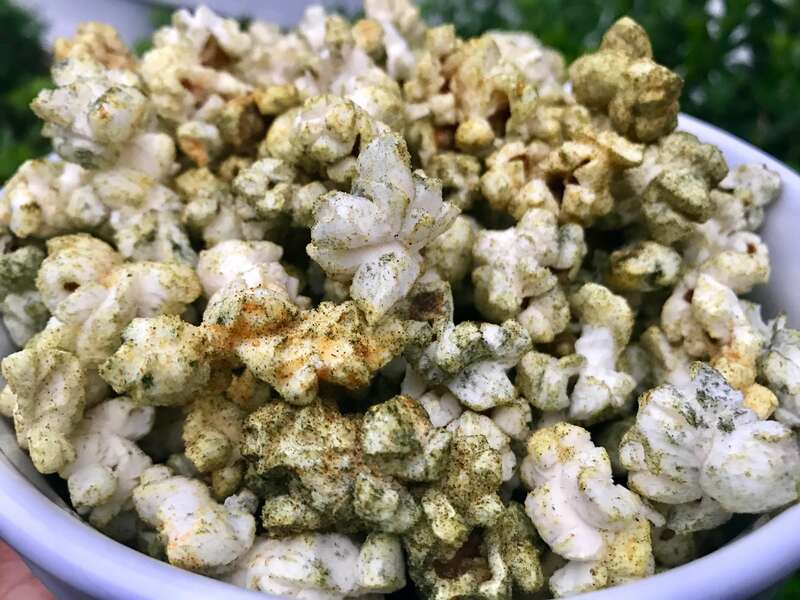 Once you try this recipe you will never revert to the original popcorn that consists of butter and salt. No more being original while watching your movie(s). Put 1 tbsp of avocado oil (or coconut oil) and 1 tbsp of vegan soy-free butter in a medium to large pot over medium to high heat. Add in the popcorn, let it start to sizzle, and then move the pan back and forth rapidly for a little bit, so the kernels are evenly cooked, and wait for them to pop. Do not leave the stove top unattended because the popcorn will burn. Combined all of the topping ingredients. Pour topping ingredients on the popcorn in a big bowl and mix well. 1. Try to buy natural, fresh and organic ingredients; in my opinion, you can taste the real flavors each ingredient has to offer. 2. Spirulina is the critical ingredient for this snack. 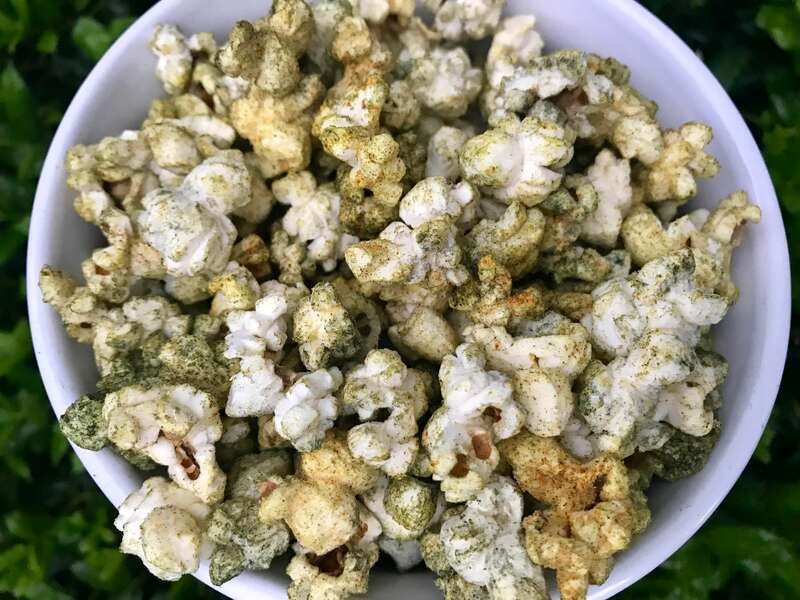 It’s blue-green algae with a dense, deep green pigment; it tastes a little bit like seaweed and pairs perfectly with cayenne and “cheezy” nutritional yeast. With a bit of pink salt and sesame oil to top it off, and you have yourself a perfect midday snack, this snack is perfect on the go, road trips, and can even be served as a sophisticated snack when you have guests. 3. 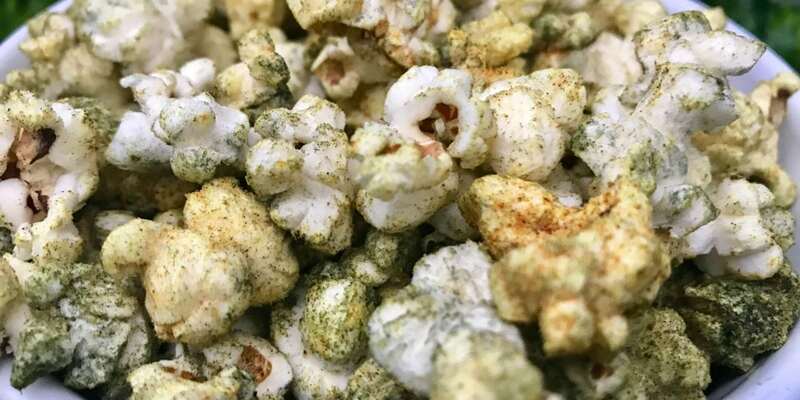 This popcorn stores for about a week or less in an airtight container, it might last longer, but we eat it too fast to know! Let me know how it works out for you. LOL!